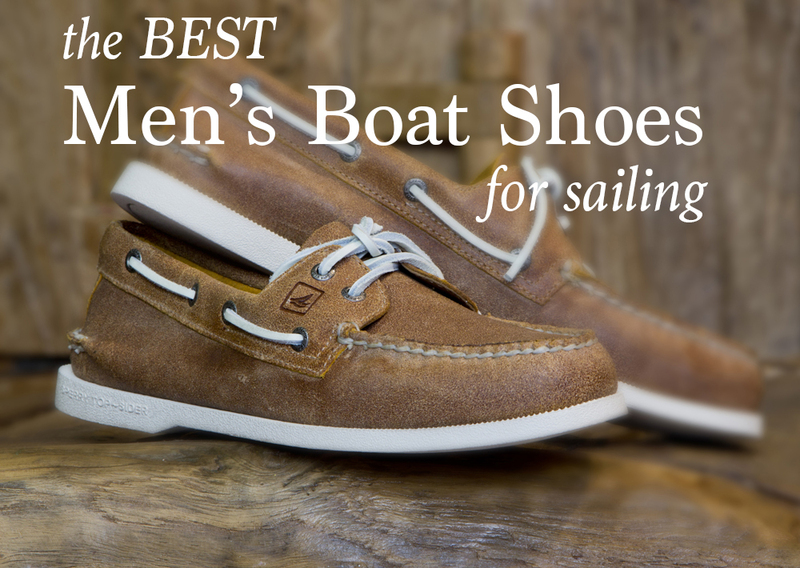 Get Wet Sailing’s How to Find the Best Men’s Boat Shoes for Sailing. With a name that long, you know it’s going to be technically good. This one topped our charts mainly because all the good reviews we received were from active sailors. Pros: Extremely grippy on wet decks. Light weight “lighter than my flip flops”~Amazon.com reviewer. Provide good support. Great in other types of water activities. Cons: Could be used as your everyday shoe, although the wear and tear on the concrete will take its toll on these shoes and some grippiness will be lost. 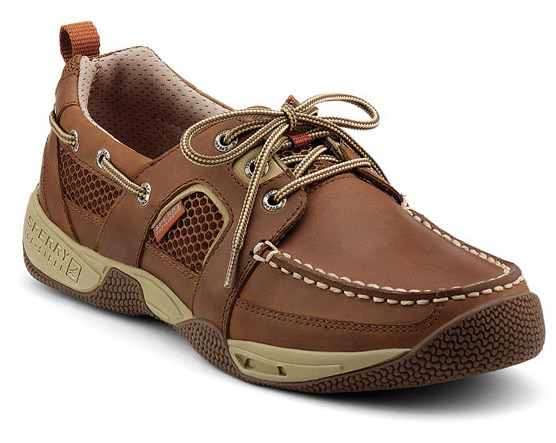 We did a quick review of the Sperry Sea Kite Boat Shoes not too long ago on our site. 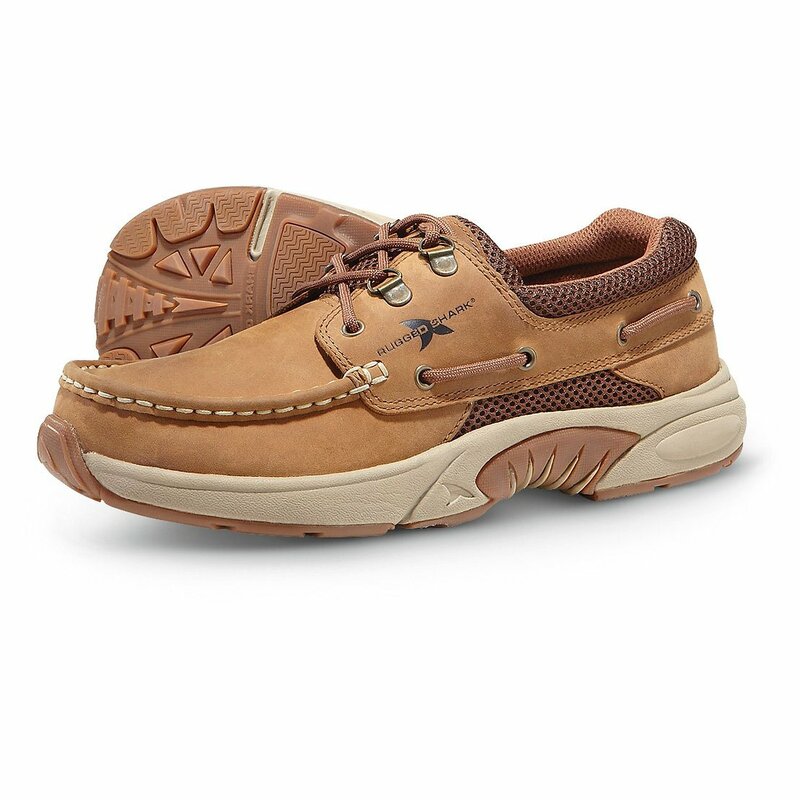 It’s a traditional boat shoe from Sperry with a twist for the water enthusiast. Pros: All around great shoe. Sailors love it for sailing and being grippy on Fiberglass decks. Dries fast when wet. Has well thought out arch and heel support. Good for wearing around town as well. Odor control was also better with this shoe. Cons: Surprisingly not too many bad words about this shoe. The main feedback we got was if you have narrow feet, these shoes may be a little wide for you. Otherwise, no significant problems. Pros: This shoe slips on easily. Traction under wet conditions is excellent. 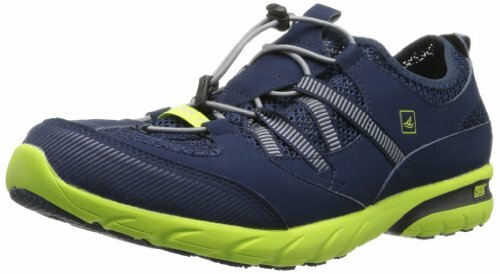 Hikers and bikers like this shoe just as much as sailors do. It dries fast and is light weight. Provides good support for the foot. Cons: Tends to stretch over time. Some reviewers reported a bit of wear and tear on the mesh. Obtains quite the odor after a long day’s wear. Good thing these shoes are easily washable. Pros: This handsome shoe looks just as good on the boat as it does on the street. In fact, it doesn’t even look like a boat shoe. It dries fast and has incredible traction. They are made by Red Wing and live up to all the Red Wing standards with a classier look. Sturdy, comfy and gets the job done. Cons: The biggest problem we saw with these shoes is that the color in real life is much darker than any picture we found. (See above). The water didn’t drain as quickly compared to other shoes either. This shoe looks great even after getting soaked multiple times. Pros: Great fit and really comfy. Provides lots of arch and heel support for everyday wear. Walk in these shoes is a dream. Looks good with both shorts and pants. 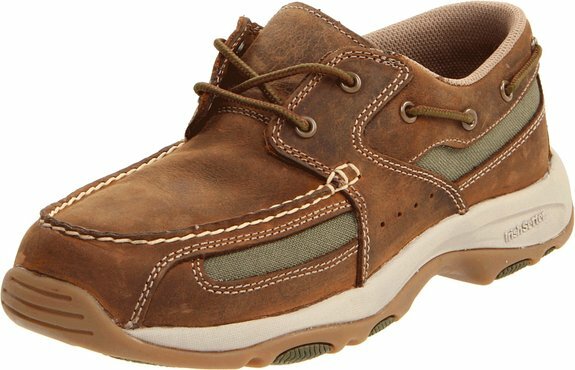 Cons: Not your typical looking boat shoe or should we say “water shoe”. That’s becuase it’s not. 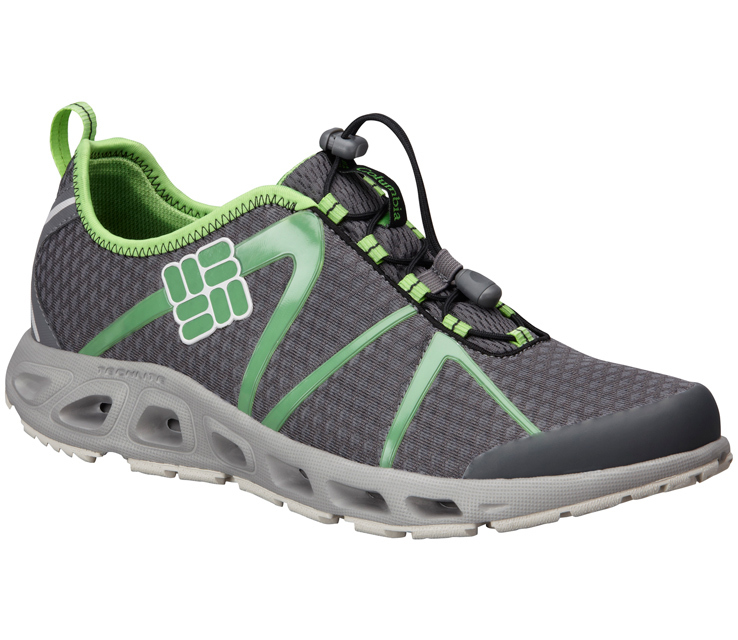 Although it was plenty grippy on wet surfaces, these shoes don’t drain easily and hold in a lot of the water. If you’re looking for a classic shoe that accents your sailing habit, then these are the shoes for you. If you’re the “Get Wet Sailing or it’s not fun” type, then you may want to think about shoes that will drain and dry quickly. Speaking of draining and drying quickly. This Adidas Climacool Daroga Two 13 can do it! Pros: Keeps feet “Climacool” in hot and humid climates. The soles are removable and washable. Fairly grippy on slippery wet surfaces. Drains and dries quickly. A Lightweight simple shoe. Cons: Not support in the soles of these shoes. Probably best for staying in or near the water and not wearing all over town when it comes to comfort. If you do decide to go all out sailing, walking, running, biking, paddle boarding at what else in these they are durable enough to handle it all. If you’d like to read an article with a more in depth and scientific testing of some of these shoes check out Randy Vance’s article: BoatingLAB Tests: Boat Shoes from September 2012. *This post contains affiliate link(s). An affiliate link means I may earn advertising/referral fees if you make a purchase through my link, without any extra cost to you. It helps keep our website afloat. Thanks for your support.